Daryl came to Doyle Mahon in 2015 having previously worked for 4 years as a claims handler in Zurich and 8 years in the construction sector beforehand. 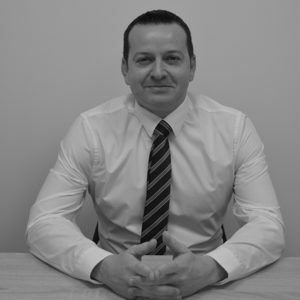 Daryl qualified as a Chartered Insurance Professional in 2014 having previously attainted qualifications in both Tax and Accounting. He works closely with Aidan on both the Opticians and Dental schemes and is available to assist with all aspects of commercial and personal insurance.